Get excited. 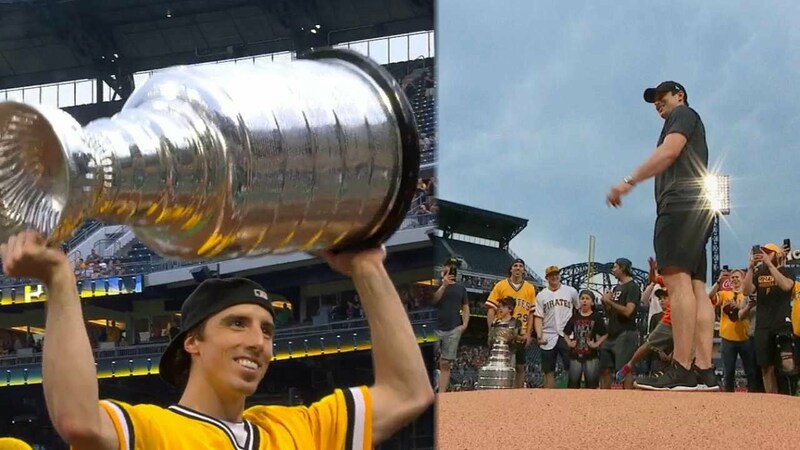 The Stanley Cup run is being replaced by Buccos Baseball! Jun. 15, 2017, 12:20 p.m. The Penguins parade is over. There is no more hockey to watch. The NHL expansion draft isn’t until next week (keep your damn hands off of Marc-Andre Fleury, Vegas! ), and the Steelers don’t start running around in the heat out in Latrobe for another month. That means the Pirates are pretty much the only game in town right now. Literally, too. They close out a 10-game homestand this weekend with three games against the world champion Chicago Cubs. But thanks to the Penguins latest Cup run, chances are you haven’t had much time to follow the Pirates so far this season. No worries. The Pirates are only 66 games (hey, Mario’s number!) into a 162-game season, so there’s still plenty of baseball to see. Here are 10 things to know about the 2017 team that will help you sound like you haven’t missed a thing. 10. The Pirates are right on the heels of the Cubs and Cardinals! If someone had told you in early April that the Penguins would win the Stanley Cup and the Pirates would be within one game of the Cardinals and 2 1/2 games of the Cubs in mid-June, you definitely would have taken it. Now, why this prophet you happen to know would be spending his or her time making Pittsburgh sports predictions instead of helping the world prepare for future calamities is unknown. But the point is that the Pirates are right in the thick of things in the NL Central and just 4 1/2 back of the first place Milwaukee Brewers. 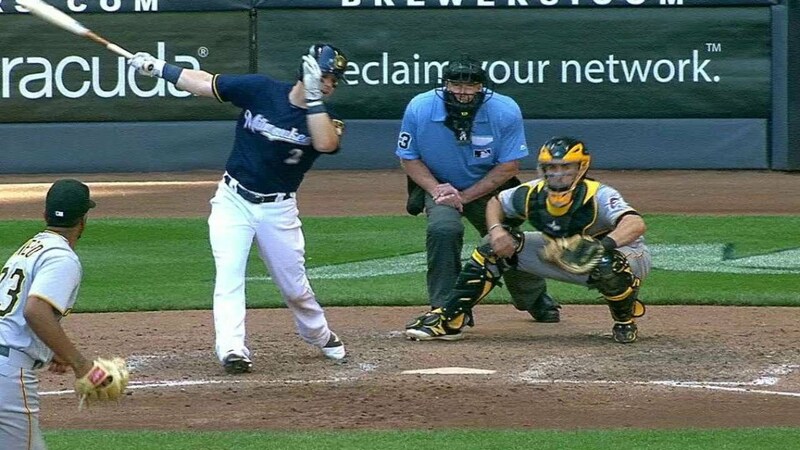 Yes, the Brewers are somehow good now. No way your prophet saw that coming. 9. They’re also on pace to go 73-89. 8. Andrew McCutchen is … good again? Remember how Andrew McCutchen is old and bad now, and the Pirates wanted to trade him in the offseason? Well, he’s even older and worse this season … or he was until about three weeks ago. Since May 24 — the night before Game 7 of the Eastern Conference Finals against the Senators — McCutchen is hitting .385 with 5 home runs in 70 at-bats. And maybe it will only get better. He hit two home runs Tuesday night after this magic happened pregame. 7. Gerrit Cole is … bad? While McCutchen is the longtime face of the lineup, Cole is supposed to be the team ace. But until pitching seven dominant innings Tuesday night in a win over the Rockies — yes, the night the Penguins stopped by — Cole had given up 23 runs and 39 hits over his previous four starts. With aces like these, who needs enemies. 6. There is a new closer. Some of the blame for the Pirates poor record this year rests on Tony Watson, the team’s now ex-closer. He had five blown saves in 15 opportunities before being demoted last week in favor of flame-throwing Felipe Rivero (who was netted in last season’s Mark Melancon trade). Of course, the entire concept of a specified “closer” is an outdated construct that baseball would be best to do away with entirely. But until that happens, we’ll have fun watching Rivero strike people out at the end of games. 5. Clint Hurdle and Neil Huntington aren’t going anywhere. Manager Clint Hurdle and general manager Neil Huntington reportedly are set to sign contract extensions that will keep them in town beyond 2017. I’ll let you know if I think this is a good decision or a bad decision at the end of the season. 4. Some of the new guys are bad. Sad! Tyler Glasnow on photo day at "Pirate City." The season-opening roster had some new faces in pitchers Tyler Glasnow and Daniel Hudson and infielders Alan Hanson and Phil Gosselin. The highly-touted Glasnow was a disaster and got sent back to the minors last week. Hudson has struggled out of the bullpen to such a degree that his Twitter account is spotted with public apologies. Hanson was so awful he got cut from the organization and Gosselin hit .135 before getting sent to Triple-A this week. Not a group of players that should make Huntington expect to get any additional zeroes added to his new contract. 3. Some of the young guys are good. On the other hand, to paraphrase the great cinematic masterpiece “Major League,” some of these guys ain’t so f–king bad. Rookie catcher Elias Diaz is hitting .326. Rookie outfielder Jose Osuna is showing some pop with the bat. Second-year outfielder Adam Frazier was hitting .370 as recently as May 24 until cooling off. (My theory: Frazier and McCutchen Freaky Friday’d into each others bodies on that date.) And 24-year old first baseman Josh Bell is on pace to hit 25 home runs. All this from the young guys while veteran starting pitcher Ivan Nova, retained after last season on a budget-friendly free agent contract, has formed a solid top of the rotation with Jameson Taillon. On second thought, maybe Huntington deserves a lifetime contract? 2. We’ll know very soon if the Pirates are contenders. Over the next 10 days, the Pirates play three against the Cubs, four against the Brewers and three against the Cardinals. Those are the three teams ahead of them in the division. These next 10 days could be the whole season. Go on a run, and the playoffs are a real possibility. Stink, and the season is over. My bet? The Pirates go 5-5, and we make it all the way to July without knowing if they’re any good. 1. The Pirates should sign Sidney Crosby. He can bolster the lineup. He can fill out the rotation. He can bring the Pirates their first championship since 1979. And we all know his Penguins teammates would help pack PNC Park to cheer him on. They love drinking outside in the summer.